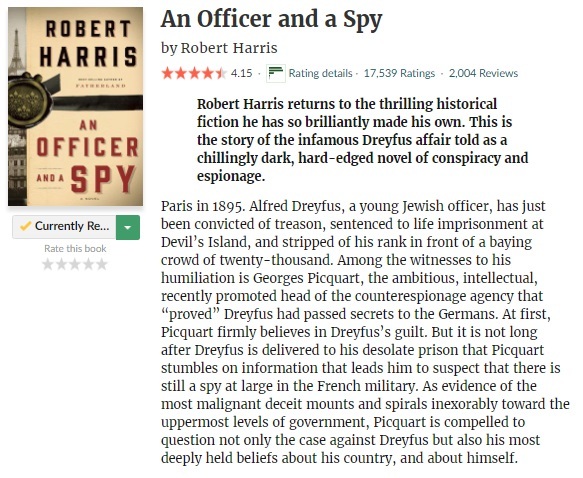 Oh yes, I’m finally FINALLY reading my TBR jar pick An Officer And A Spy by Robert Harris. I haven’t finished one since July, so it’s about time I do… I’m not that far into the story yet, but I’m hoping to finish it before the end of the month. The beginning is quite slow though; I hope things will pick up later on. 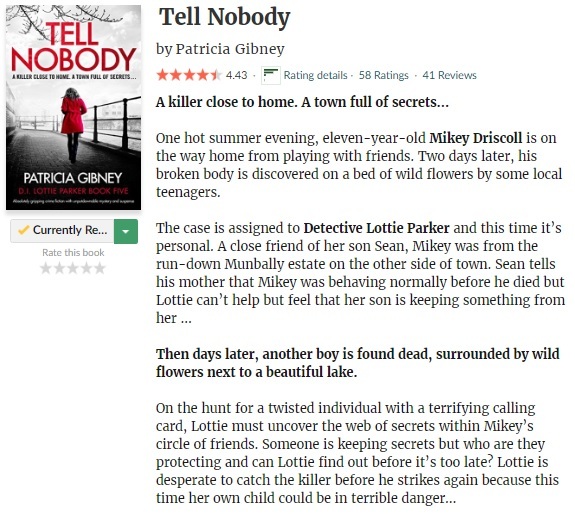 I’m a bit late reading Tell Nobody since the publish date is tomorrow (oops! ), but I’m glad to be finally reading another Lottie Parker book. I’ve really enjoyed the first four books of this series, and I’m having high hopes this fifth book will be another winner. I’m finally reading my first Ruth Ware book! 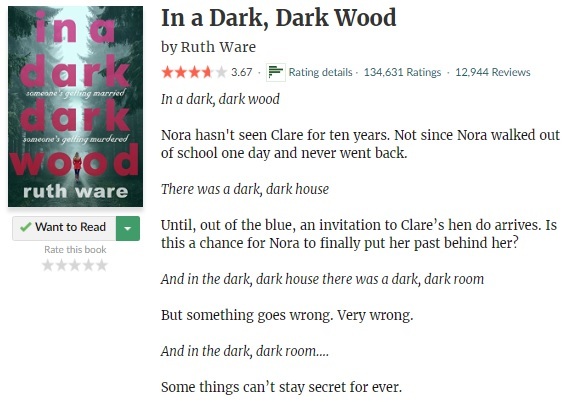 And what better way to start than with her debut… It’s still early days with In A Dark, Dark Wood, but so far it is making a good enough impression. I will be looking forward to continue reading this one later today. “I am running through moonlit woods, with branches tearing at my clotches and my feet catching in the snow-bowed bracken. 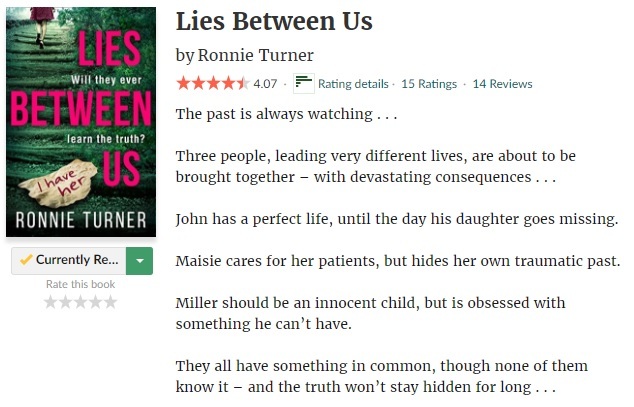 I’m so excited to be finally reading Lies Between Us by fellow book blogger Ronnie Turner! I’ve been looking forward to pick it up, and although it is still early days, I’m looking forward to be spending more time with this story later today. I’m currently reading the first book of a new detective series that is coming out later this month. 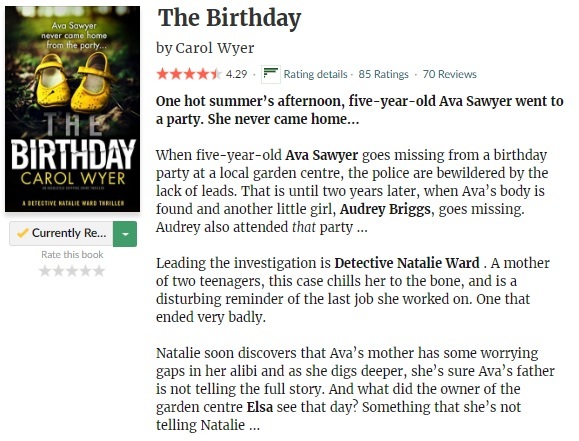 I’m always excited to see something new by Carol Wyer popping up, so of course I couldn’t resist The Birthday either. And so far I’m finding myself flying through it! 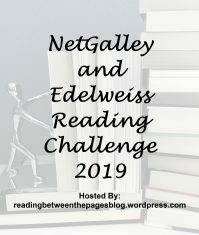 I’m currently reading book number nine of my August TBR and probably the last title before the N.E.W.T. 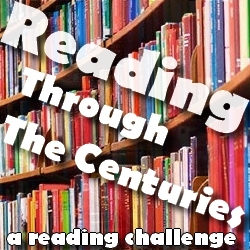 readathon madness begins… I’ve been meaning to read The Girl Who Saved The King Of Sweden for a long time, mostly because I’m a huge fan of The Hunderd-Year-Old Man. 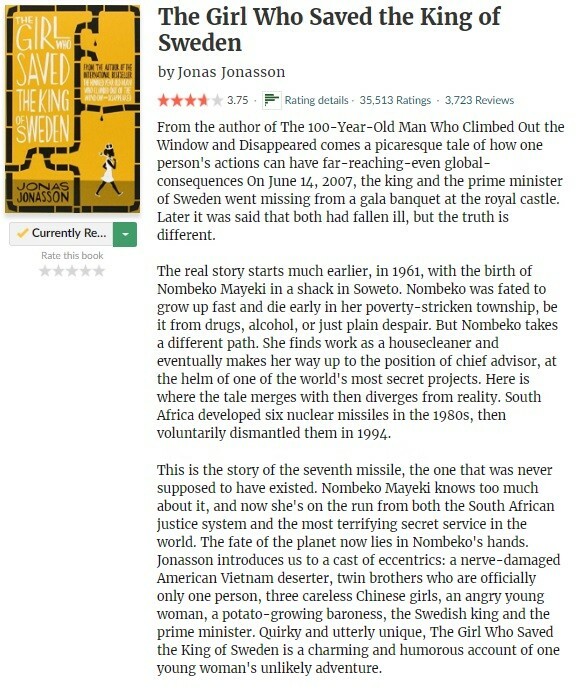 I know his books and humor are not for everyone, but there is just something about his writing that hits the mark for me (although I admit not always). 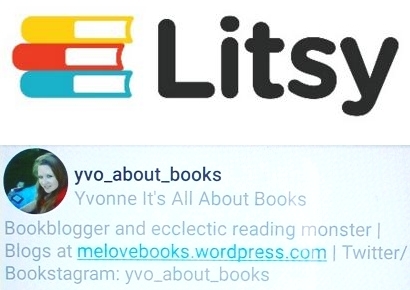 Fingers crossed this one will be another winner! 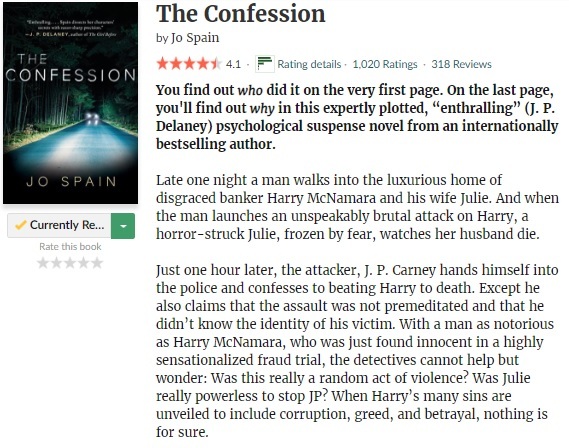 I’ve been wanting to pick up this ARC for a while… It’s the first time I’m reading one of her thrillers, but if the rest of The Confession is as good as the part I’ve read, I’m sure it won’t be my last. I really like her writing style so far! 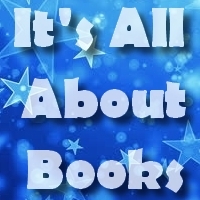 And I like the multiple POV chapters and discovering the why and not the who this time. “But here’s the thing about fairytales.